Over the last century and a half millions of people have had a tooth cavity filled with “silver” amalgam. Perhaps you’re one of them. The use of this effective and durable filling has declined in recent years, but only because of the development of more attractive tooth-colored materials. At the same time there’s another issue that’s been brewing in recent years about this otherwise dependable metal alloy: the inclusion of mercury in amalgam, about half of its starting mixture. Various studies have shown mercury exposure can have a cumulative toxic effect on humans. As a result, you may already be heeding warnings to limit certain seafood in your diet. So, should you be equally concerned about amalgam fillings — even going so far as to have any existing ones removed? Before taking such a drastic step, let’s look at the facts. To begin with, not all forms of mercury are equally toxic. The form causing the most concern is called methylmercury, a compound formed when mercury released in the environment combines with organic molecules. This is the form certain large fish like salmon and tuna ingest, which we then ingest when we eat them. Methylmercury can accumulate in the body’s tissues where at high levels it can damage various organ systems. Although over time the filling may emit trace amounts of mercury vapor, it’s well below harmful levels. You’re more likely to encounter “un-trapped” mercury in your diet than from a dental filling. And scores of studies over amalgam’s 150-year history have produced no demonstrable ill effects due to mercury. 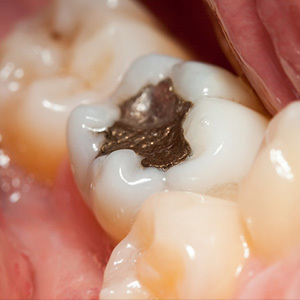 Although it now competes with more attractive materials, amalgam still fills (no pun intended) a necessary role. 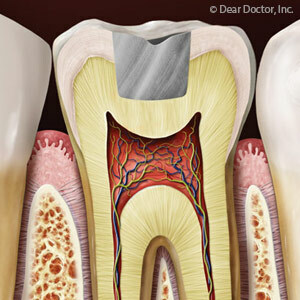 Dentists frequently use amalgam in less visible back teeth, which encounter higher chewing pressures than front teeth. So, if you already have an amalgam filling or we recommend one to you, relax — you’re really in no danger of mercury poisoning. If you would like more information on dental amalgam fillings, please contact us or schedule an appointment for a consultation.